NEMO Science Museum is a special and unique location in the centre of Amsterdam.The entire building buzzes with science and technology, and makes is intresting for science events. NEMO Science Museum has a range of multipurpose rooms to accommodate groups of 8 to 2,000 people. Enjoy a drinks party among the microscopes in the Laboratory, have a brainstorming session in an exclusive board room with view over the IJ or conclude your gathering on the spacious Rooftop Square where your guests enjoy a breathtaking view of Amsterdam. This venue is surrounded by glass on all sides and offers stunning views across Amsterdam’s eastern docklands. Amsterdam Airport, Schiphol is a major international Airport in Netherlands. Schiphol is the twelfth busiest airport in the world as well as the third busiest airport in Europe in terms of international traffic. This airport offers flights from Amsterdam to 322 direct destinations across the globe. This airport is of great significance in Europe and is very well connected with the railways & roadways. The Schiphol airport train station is located underneath the airport. Train service is available 24x7 every 10 minutes between 6am – 1am and is available once per hour between 2:00am – 5:00am. It takes around 18- 20 minute to reach Amsterdam Central Station in just € 4.30. Train is available from the platform 1 & 2 located near the main arrival hall at the airport Tickets are also easily available from the ticket counters and ticket machines and they also accept the international credit cards. This station is well connected with the international train stations across the Europe. 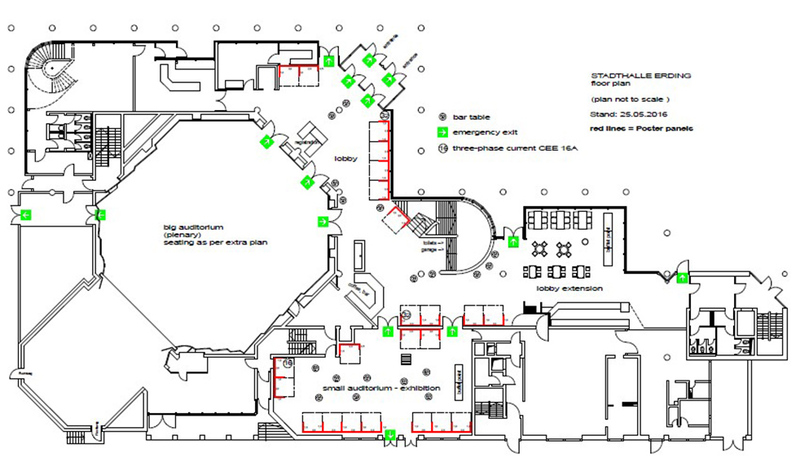 Depending on the navigation system you use, you will find the conference venue in your navigation system. At the basement of the central train station is the paid parking for the city of Amsterdam. Generally there is availability at the most of times to park the car. More details on the venue can be found from the visit website tab.